I’m sure you’ve all heard the old expression that wine improves with age. Well, recent research indicates that the same is frequently the case with people’s credit scores. Curious? Then read on. Millennials have the lowest average credit score of any age group (634) while members of the silent generation have the highest (734). Homebuyers with fair credit scores will pay nearly $30,000 more over the life of a mortgage than those with very good ratings. Older Americans have better credit scores in part because of lower child-care costs and student debt, and many may not have such expenses at all. Back in the summer, an Experian study found that 61 percent of millennials lack a prime homebuying credit score, and now another report highlights how less-than-stellar credit ratings may be hindering more members of that generation from purchasing real estate. In an analysis of its user data, LendingTree found that the older a person is, the better their credit rating tends to be. Millennials have the lowest average credit score of all generations at 634, rated as fair. Though Gen Xers fare better, with average credit scores of 653, they too fall into the fair bucket. With scores that average 696, baby boomers are categorized as having good credit. 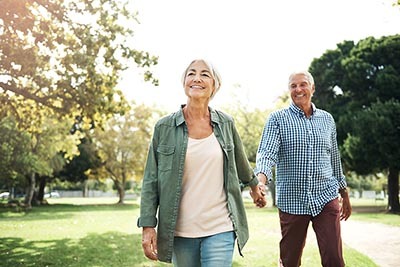 Members of the silent generation — defined as those born between 1928 and 1945 — boast credit scores of 734, making them the only group of Americans who can claim a very good rating. LendingTree offers logical reasons as to why older Americans own better credit scores that younger people. According to company Senior Research Analyst Kali McFadden, older people tend to be more disciplined about saving money and spending habits. Also, older Americans now lack the costs of raising a family, unlike many of their younger counterparts. Finally, the older someone is, the lower their student loan payments are likely to be, if they indeed carry such debt at all. By contrast, a recent survey by NeighborWorks America found that nearly 60 percent of millennials know someone who postponed purchasing a home because of student debt. Since borrowers with higher credit scores receive better interest rates than those with lower numbers, Americans with very good credit ratings can save quite a bit of cash when taking out loans. Factoring in five types of debt — credit card, personal loans, student loans, car loans, and mortgages — LendingTree estimates that an individual with a very good credit score would save a total of $45,283 over the life of the loans compared with someone with a fair credit score. The biggest savings comes from mortgages, where a fair credit rating will cost homebuyers an extra $29,106 in payments. Prospective homebuyers who need to improve their credit scores to secure a prime mortgage rate can take several steps to achieve that goal. LendingTree suggests common-sense tips to a better credit score: pay off loan balances on time, minimize the amount of credit used, keep old cards open and have a mix of accounts, and avoid opening new credit cards. So, if you’re considering a change in your residence to keep up with an age inspired lifestyle change, it may be the opportune time! If you’d like to discuss this or any other housing related issues, give us a call! We have the experience and knowhow to give you the best advice. You know the numbers: Peter: (415) 279-6466; Jane: (415) 531-4091. We’re always ready to help!